Dear special guests, architects and participants, my name is Florin Mindirigiu and I am the President of ProEvent Cultural Association, organizer of SHARE Tirana 2018 and I want to tell you to welcome to the architecture forum of the year, SHARE Tirana 2018! The Pro Event Association is a nonprofit organization whose mission is to develop large-scale projects for the cultural, educational and creative fields, providing an optimal environment for the promotion of culture in all its forms to the people who generate it. 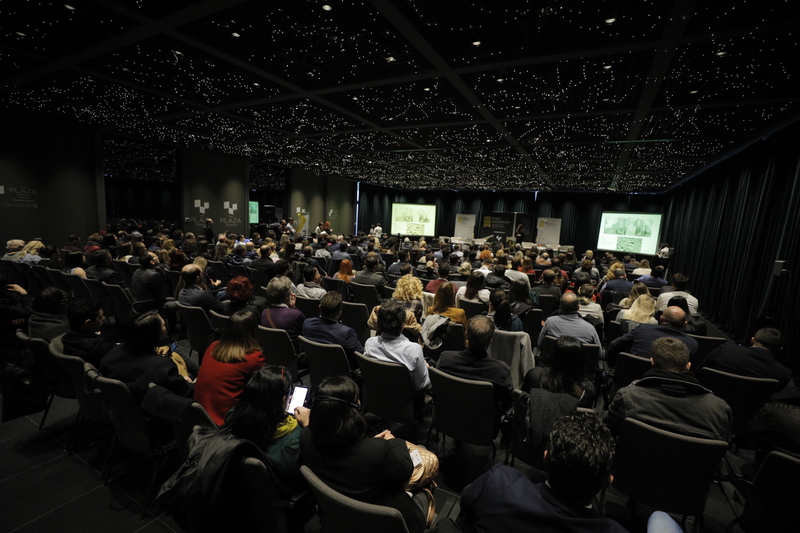 Our experience in the Central and Eastern European market describes our events as one of the most effective international forums in the region, a source of constantly updated information, supporting the continuous training of specialists and the promotion of young talents. We are organizing annual editions and we have a constant relevant presence in Warsaw and Krakow (Poland), Budapest (Hungary), Bucharest (Romania), Sofia (Bulgaria), Belgrade (Serbia), Athens (Greece) and Skopje (Macedonia). We are proud to organize the SHARE International Architecture and Engineering Forum for the first time in Tirana and for the second time in partnership with the national architect’s associations: The Albanian Architects’ Association, The Association of Architects of Macedonia, The Architects Association of Kosovo, and The Chamber of Bulgarian Architects. As always, the event is brought together a mix of attendees: architects, engineers, landscape architects, contractors, investors, developers, representatives of the Academia and of the professional associations, and it is an extraordinary opportunity to make connections and stay up to date with the most innovative achievements of the built space agendas. 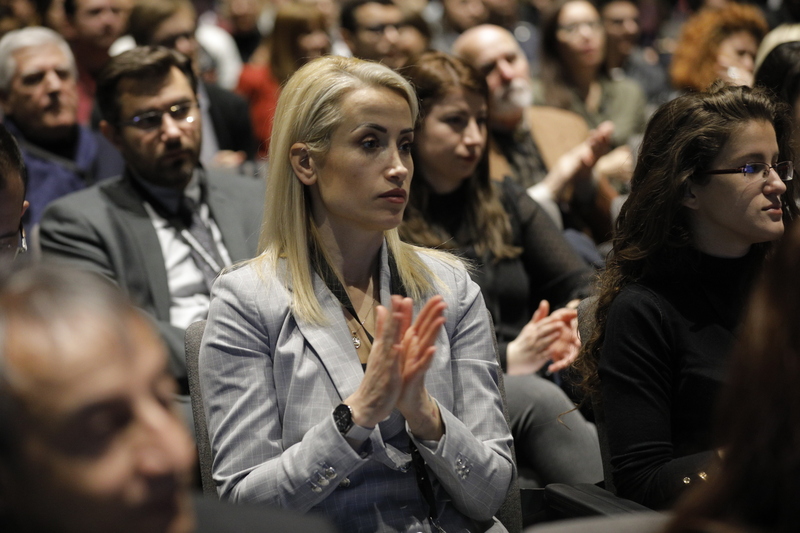 The speakers that presented at this edition of SHARE FORUM in Tirana are renowned personalities coming from 10 countries: Albania, Bulgaria, Italy, Belgium, Romania, Kosovo, Iran, Macedonia, the Netherlands. Great Speaker arch. Xander Vermeulen WINDSANT – Director of XVW Architectuur, The Netherlands – will present Project: “DeFlat Kleiburg” named the winner of the EU Prize for Contemporary Architecture, the Mies van der Rohe Award 2017. The first event organized took place on the 19th February at the Salt Pub and it was a debate on the topic “Designing the profile of the future architect” followed by the “Cocktails & Conversation” and the “Architecture night tour of Tirana”. As the SHARE Tirana 2018 does not allow the participation of students, Pro Event organized on the 20th a special conference the Junior Session “SHARE – meet the architect” at Polytechnic University of Tirana. Junior Session SHARE is a motivational conference for the architecture students and it has the purpose to encourage, stimulate and support the students to discover the new trends in architecture from internationally well-known specialists, and therefore the students can benefit of their knowledge in practice. As a third event included in SHARE Tirana 2018 Forum will the International Debate that will take place after the Lunch Break from 3:00 PM and it will be a debate between the 4 honorary guests of SHARE Tirana 2018 arch. Armand Vokshi, arch. Martin PANOVSKI, arch. Astrit NIXHA and arch. Borislav IGNATOV, “Common Transnational Concerns Regarding Architecture in the Balkans”. I want to offer special thanks to our co-organizers who helped us make possible this event: arch. 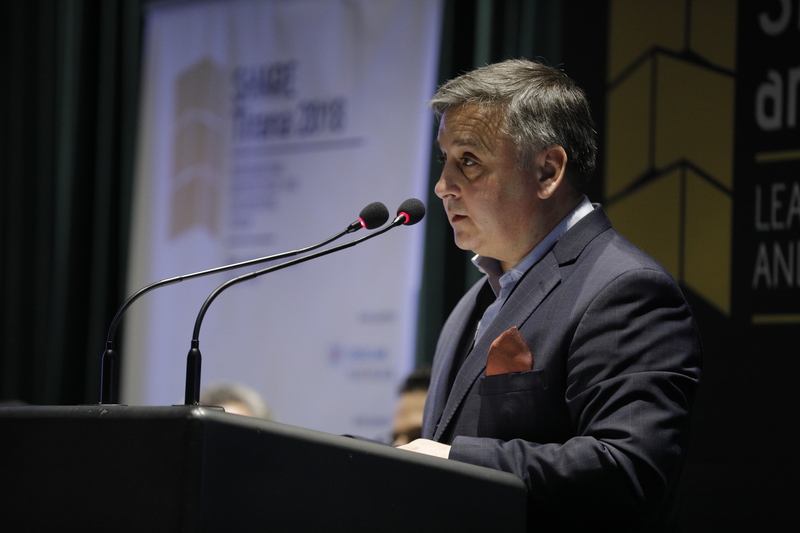 Armand VOKSHI, Chairman of SHARE Tirana 2018 and President of Albanian Architects’ Association, arch. Martin PANOVSKI President of Association of Architects of Macedonia, arch. Astrit NIXHA President of Architects Association of Kosovo, arch. Borislav IGNATOV President of the Chamber of Bulgarian Architects, The Rector of the Polytechnic University of Tirana, prof. dr. Andrea MALIQARI, The Dean of the Faculty of Architecture and Urbanism of the Polytechnic University of Tirana. Our cultural partners: the Polytechnic University of Tirana, The Italian Institute of Culture of Tirana, The Netherlands Embassy in Tirana and the Embassy of Romanian in the Republic of Albania. We have as the special guest the Counselor Minister, Mrs Patricia Radut, from the Embassy of Romanian in the Republic of Albania. arch. Ervin Taçi (Dea Studio), arch. Jurtin Hajro (Commonsense Studio), arch. Olsi Efthimi (Atelier 4 Studio), arch. Doriana Bozgo Bleta (Studio B&L), arch. Artan Raça (Studio Raça Arkitektura). From the Netherlands, we have the winner of the EU Prize for Contemporary Architecture, the Mies van der Rohe Award 2017 arch. Xander Vermeulen WINDSANT – Director of XVW Architectuur, The Netherlands. From Belgium, we will have the arch. Giuseppe FARRIS. From Macedonia, we will have present the arch. 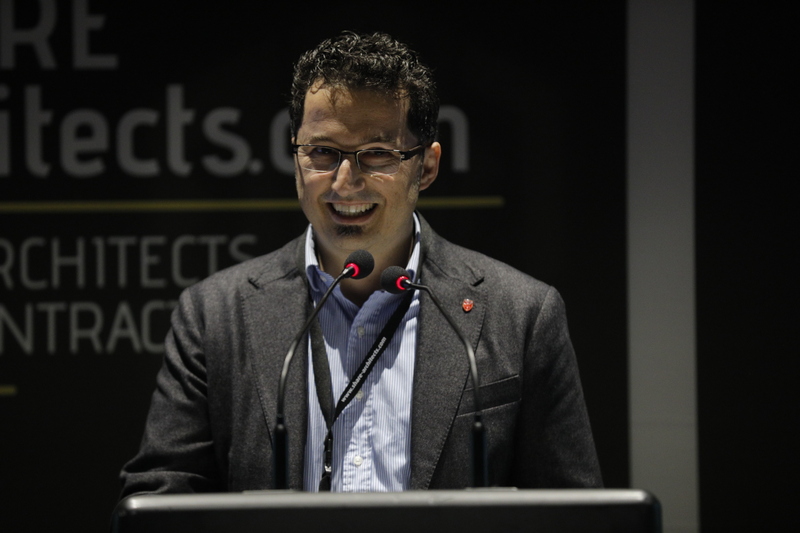 Martin PANOVSKI – President of the Association of Architects in Macedonia (AAM) arch. Besian MEHMETI and arch. Eng. Pako RADOVANOVIC.